The eleven Regional Associations (RAs), members of their boards, IOOS Program Office (IOOS PO) staff and partners gathered in Washington, DC for the IOOS Spring Meeting on March 6-7, 2018. At the meeting, participants discussed responses to potential budget cuts and steps to measure the value of IOOS contributions. Click here to access the meeting website and materials. 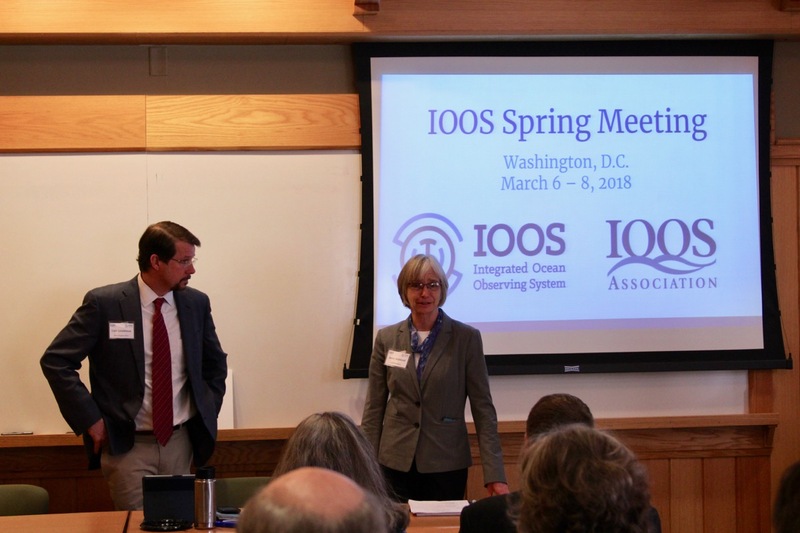 Carl Gouldman, Director of the IOOS Program Office, and Josie Quintrell, Director of the IOOS Association, opened the meeting and thanked participants for attending. Dr. Russell Callender, Assistant Administrator of the National Ocean Service, started the programmatic portion of the meeting with an update on the NOS, including NOAA’s most recent priorities and initiatives: 1) implementing the Weather Act, 2) new aquaculture initiatives, and 3) further developing the Blue Economy through “sustainable use of ocean resources for economic growth.” Dr. Callender also encouraged IOOS and the RAs to articulate contributions to navigation and the economy in order to tell the IOOS story and promote further partnerships. 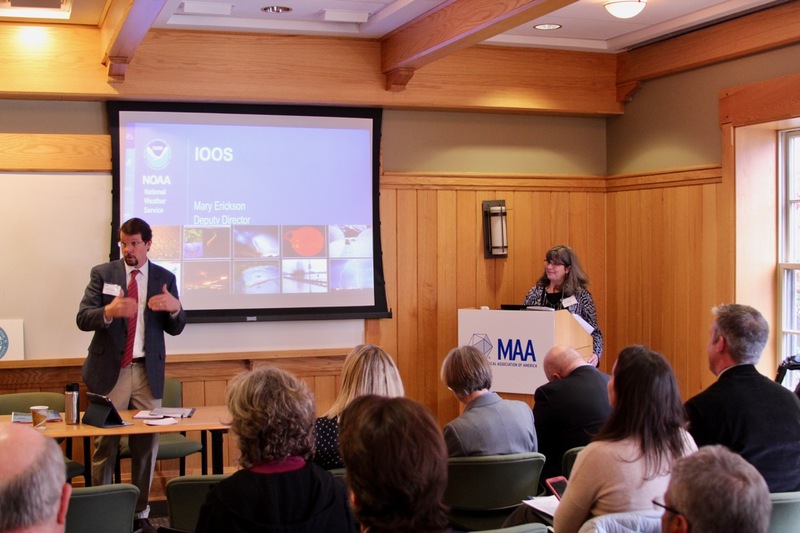 Mary Erickson, Deputy Assistant Administrator of the National Weather Service, followed Dr. Callender with updates on NOAA’s Water Initiative and opportunities for further partnerships between the NWS and IOOS. Erickson also encouraged the RAs to apply for the NWS Research to Operations Joint Technology Transfer Initiative. 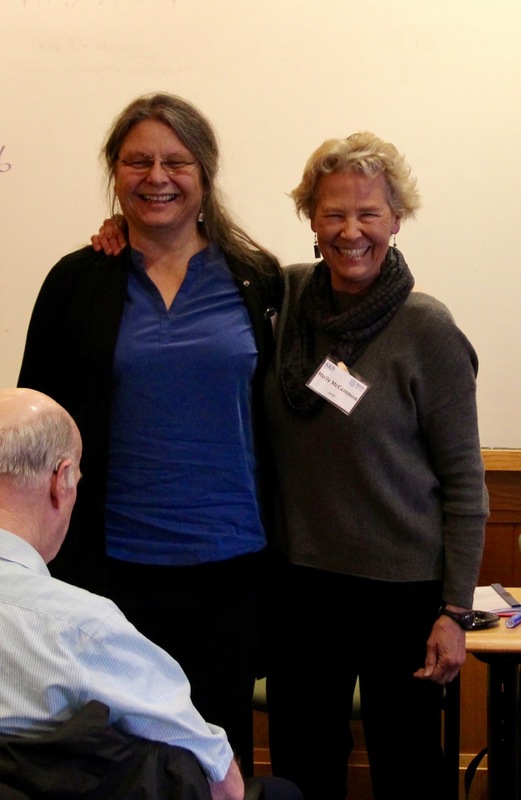 At lunchtime, participants celebrated the birthdays of Molly McCammon and Jan Newton. Happy birthday, Molly and Jan! Pictured: Jan Newton (Director, NANOOS), and Molly McCammon (Director, AOOS). Day 1 also featured a presentation on measuring the impact of IOOS. 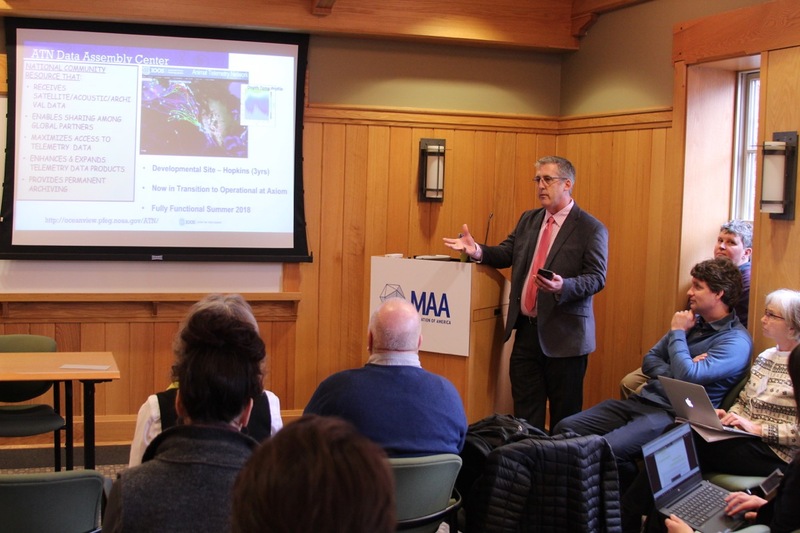 David Legler, Director of NOAA’s Ocean Observing and Monitoring Division, discussed the Interagency Ocean Observation Committee’s metrics project. 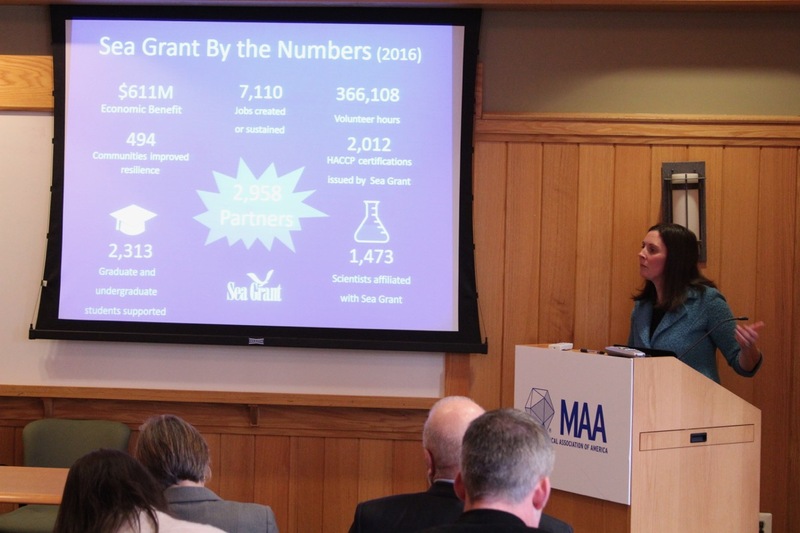 Alison Krepp, Social Science Lead for Sea Grant, presented on the Sea Grant Economics Study. 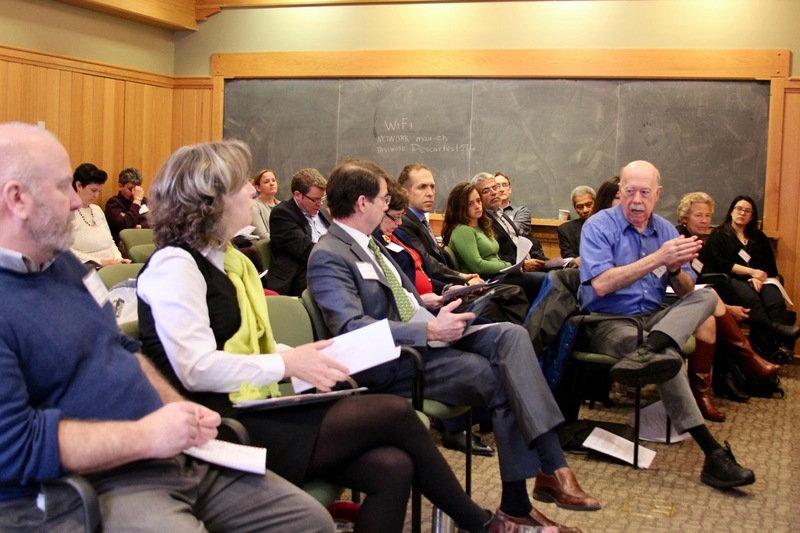 Participants discussed the steps needed for IOOS to conduct its own valuation study. Participants later divided into groups for brainstorming sessions. 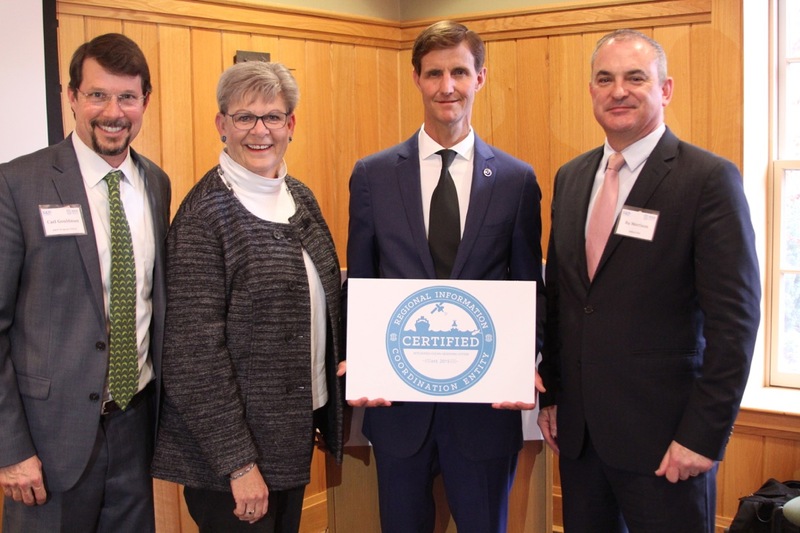 These discussions addressed how IOOS and the RAs can better message certification as Regional Information Coordination Entities (RICEs) and current and potential contributions to maritime transportation safety and efficiency and environmental observations. Pictured from left to right: Carolyn Thoroughgood, Sylvia Rodriguez Abudo, Kelly Paige, Libe Washburn, Kathy Bailey, Dave Easter, Molly McCammon, Josie Quintrell. Day 1 ended with a presentation from Julio Morell, Sylvia Rodriguez Abudo, and Roy Watlington of CARICOOS on the damage sustained by Hurricanes Irene and Maria in the Caribbean. Day 2 of the meeting started with summary outcomes of the RA data management reviews conducted by the IOOS PO. Several RA directors expressed their appreciation of the reviews and wish for further follow up. IOOS Program Office staff discussed 2018 priorities for adding new data sources to the Environmental Data Server and further developing Data Assembly Centers. Day 2 also featured a presentation from Zdenka Willis on valuating IOOS. Willis presented the results of a survey of several RAs aiming to estimate the amount of federal money IOOS leverages. Preliminary results indicated a return on investment of nearly 11:1. Following this presentation, Carl Gouldman gave an update on the federal budget cuts and led a roundtable discussion of how each region would respond to drastic cuts. Spring Meeting participants discuss regional responses to budget cuts. On Wednesday afternoon, Tom Johengen updated participants on the Alliance of Coastal Technologies. ACT has renewed its focus on ocean acidification, hypoxia, nutrient pollution, harmful algal blooms, and invasive species, but currently seeks input for new themes to address. 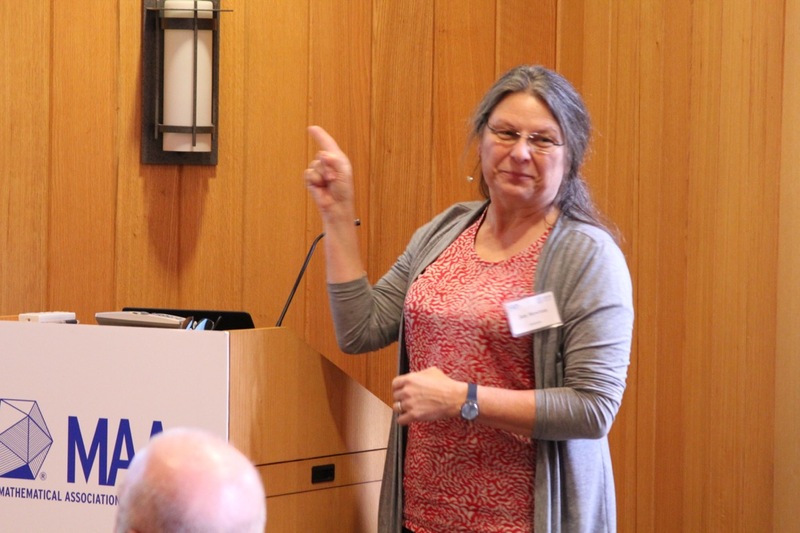 Following this presentation, the IOOS Program Office updated participants on current activities and announced the intention to continue conversations on success metrics and the IOOS strategic plan following the Spring Meeting. Gabrielle Canonico, Bill Woodward and Jan Newton updated participants on IOOS Sustained Biological Observations initiatives. They are taking strides to unite the Marine Biodiversity Network and the Animal Tracking Network in an effort to sustain and integrate these efforts. IOOS welcomed remarks from Rear Admiral Tim Gallaudet, Assistant Secretary of Commerce for Oceans and Atmosphere in the National Oceanic and Atmospheric Administration. 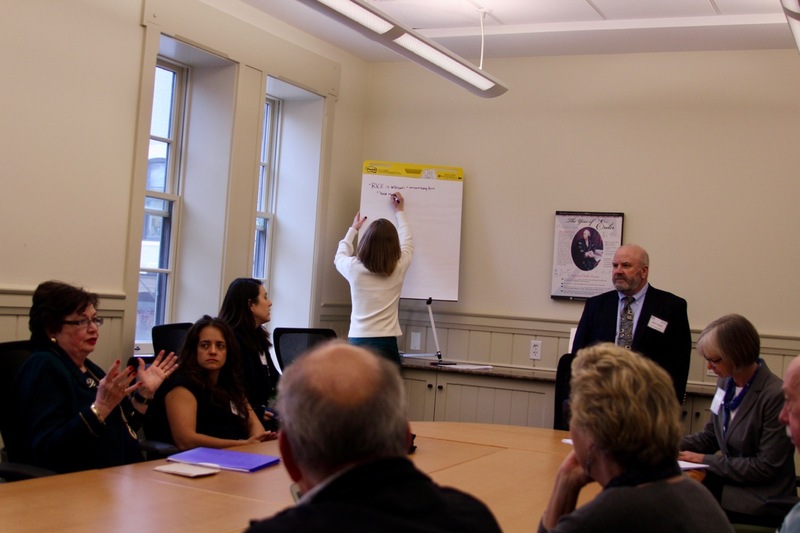 RDML Gallaudet conducted a roundtable with the regions and introduced NOAA top budget priorities: the Blue Economy and weather and water initiatives. The IOOS Spring Meeting ended with signing ceremonies for the certification of Gulf of Mexico Coastal Ocean Observing System and the Northeast Regional Association Coastal Ocean Observing System as Regional Information Coordination Entities. Congratulations, GCOOS and NERACOOS!